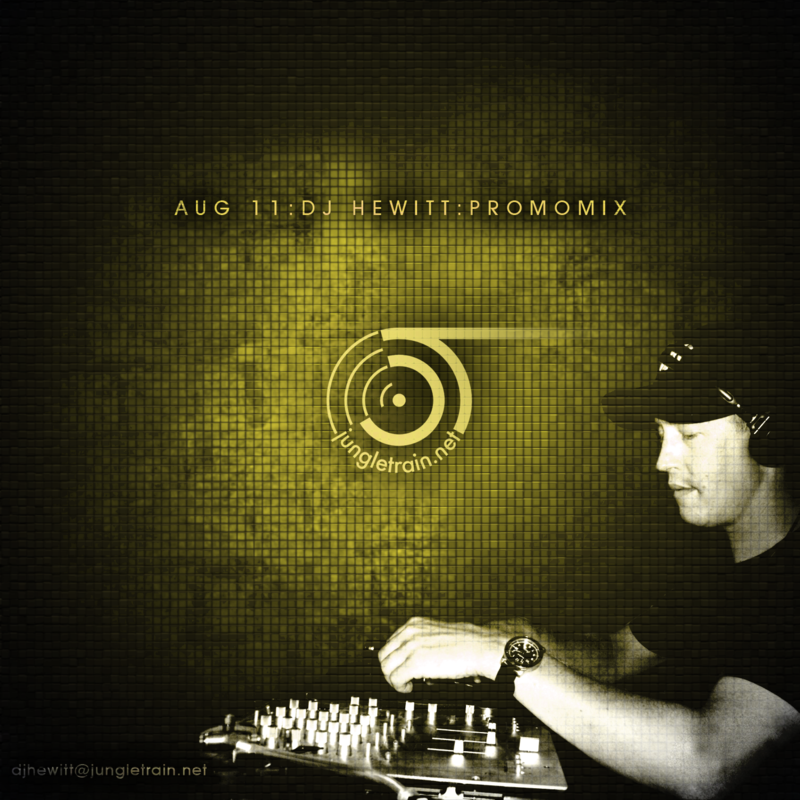 For the August 2011 promomix Jungletrain.net is proud to present DJ Hewitt. DJ Hewitt goes by the name of Mark Hewitt and is from Guelph, Ontario, Canada. He first began mixing records in the summer of 1997. Now in 2011 he has found his home on jungletrain.net. In 2006 he discovered this Jungle/Drum & Bass station and began a show on it in 2009. His show on jungletrain.net, entitled ‘These Are The Breaks’ originally aired on Tuesdays but was later moved to the Saturday afternoon slot - a choice he is still very happy with. The styles featured on the show are quite varied, something every regular listener can attest to. The goal of the mix is to make it as fresh as possible, so Hewitt decided to compile it from his most recent batch of records. This promomix showcases what he likes to play. The mix includes some vocal tunes, rollers, stepper and some soulful vibes as well. Some of his all-time favorites labels are included such as Metalheadz and Reinforced. Next to this, some more current labels are on display such as Detail Recordings and Blackout Music. Some of the producers that are featured include D-bridge, Jubei, Lynx, Mark System, Nymfo and Ulterior Motive. Hewitt would like to thank everyone who has been tuning in to the show and hopes you enjoy the mix!